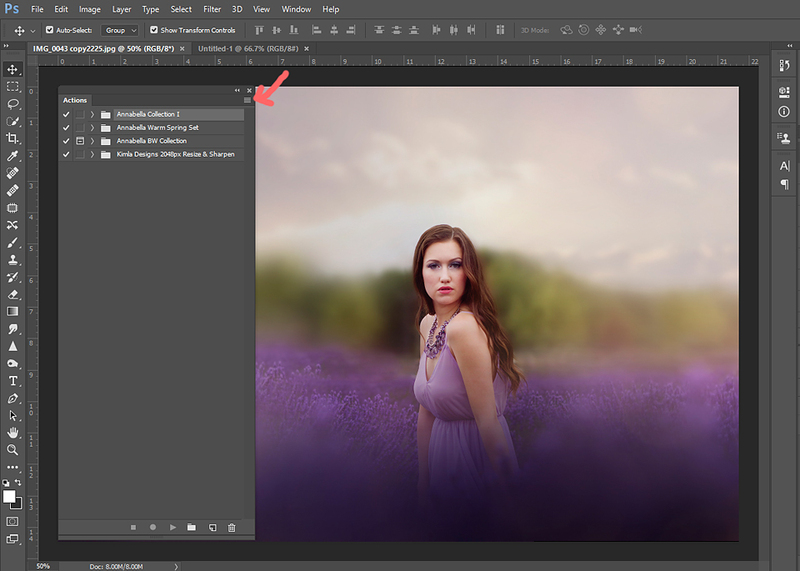 First, probably the quickest way is to simply double click the action file .atn and it should appear in Photoshop Actions Window palette. 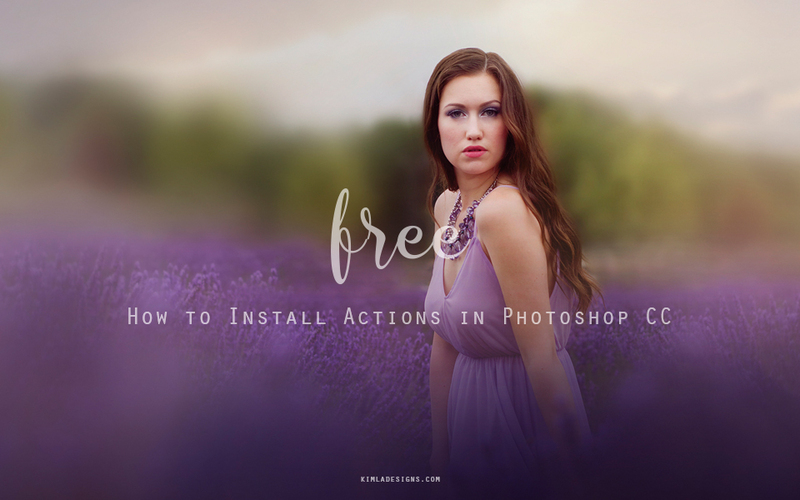 You can also open your Photoshop CC Actions Window or click ALT+F9 shortcut. When your Actions Window is open, search for a four horizontal lines in the right corner of the window. Click these lines and from the drop down menu select Load Actions. You should now search your .atn files on your computer (it's important to save your actions on some well visible location after downloading them, the files should be unziped ). The only thing you should do now is to click Actions file and load them. Actions should be visible on your Actions palette. Hope you will find this short tutorial useful.